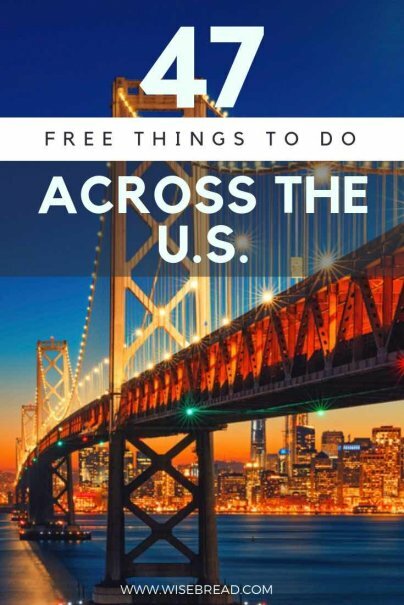 Home » Frugal Living » Budgeting » 47 Free Things to Do Across the U.S.
You might assume that heading to one of America's biggest cities for a vacation will cost you an arm and a leg, but you'd be wrong. There are plenty of ways to save money when seeing the country's biggest attractions. In fact, you can see most of them for $0. If you're looking for amazing things to do on a budget, check out this list of 47 free things to do across the U.S. of A. 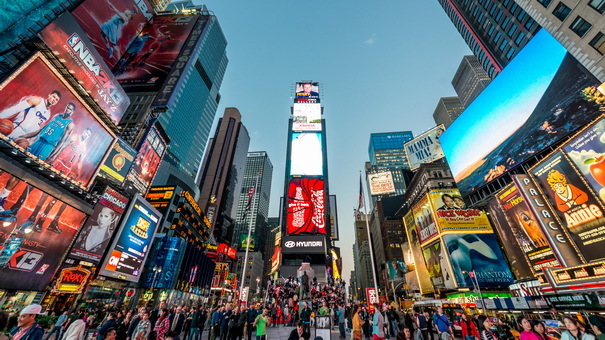 One of the most famous landmarks in New York, Times Square is probably best visited after dark to ensure you get the full effect of the giant neon billboards that surround it. This larger-than-life square has a great atmosphere, thanks to the thousands of people enjoying the sights. Take a camera and some snacks and soak up the electric ambience. The African Burial Ground Monument was created after the 1991 discovery of numerous caskets during the beginning stages of the construction of a federal building on the site. They contained the remains of over 400 African people, both free and enslaved, dating back to the 17th and 18th centuries. 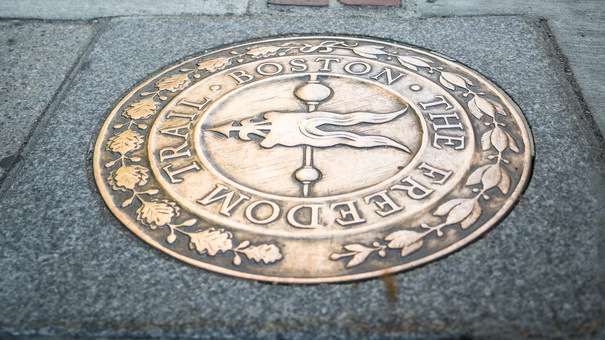 Learn the history at the fascinating and informative visitor center and memorial. In the middle of Manhattan lies possibly the most famous park in the U.S., if not the world. This vast oasis allows you to forget that you're even in a city, let alone the largest metropolis in the country, and there are plenty of things to see and activities to get involved in. You can also take a self-guided tour with one of the free downloadable guides they provide that take you to the park's most famous spots. Converted from a former rail line, New York's High Line is one of the coolest and attractive parks in the city. Running 1.45 miles from the north of Chelsea to the Meatpacking District, this beautiful elevated slice of nature is a wonder to behold. Colorful flowers and greenery are interspersed with works of art, not to mention the breathtaking views of the Big Apple's magnificent skyline. Shuttling between Lower Manhattan and Staten Island since 1817, this historical route is way more than just a neat boat trip. The Staten Island Ferry not only provides its passengers with unparalleled views of the Manhattan skyline, but the 25-minute journey also glides right below the Statue of Liberty. It's also absolutely free. 7. Visit the National Air and Space Museum in Washington, D.C.
8. 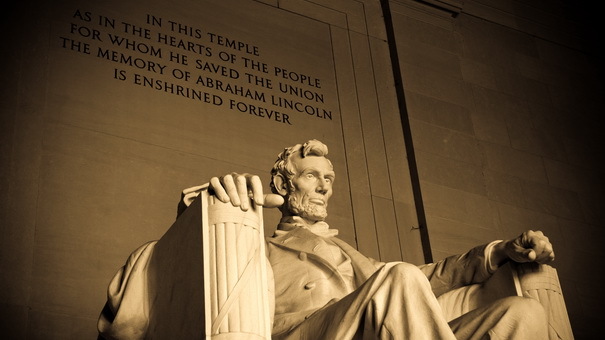 Marvel at the Lincoln Memorial in Washington, D.C.
Pay your respects to one of the most important figures in U.S. history with a visit to the grand Lincoln Memorial. Located in the National Mall, there are also plenty of other points of interest to discover nearby. Rangers are on hand between 9:30 a.m. and 10 p.m. to answer any questions, and you can also join one of the hourly talks they run at no cost. 9. Tour the White House in Washington, D.C.
Home to the current President and at the center of political life in the U.S., the White House needs no explanation. But what you may not know is that you can do a self-guided tour of the famous landmark for free. It's not as simple as just showing up, and must be booked in advance, but it's certainly worth the effort to secure a slot. Anyone who's anyone in the entertainment business has one of the legendary stars on the Hollywood Walk of Fame. Take a stroll alongside Tinseltown's most distinguished names, from old favorites like Marilyn Monroe to modern megastars such as Dwayne "The Rock" Johnson. At The Broad in downtown L.A., you'll find an incredible collection of modern art with familiar names ranging from Lichtenstein to Basquiat. Admission is free, but it's advised to book tickets online, especially during peak times. There's even a free app that includes digital tours for guests to access. 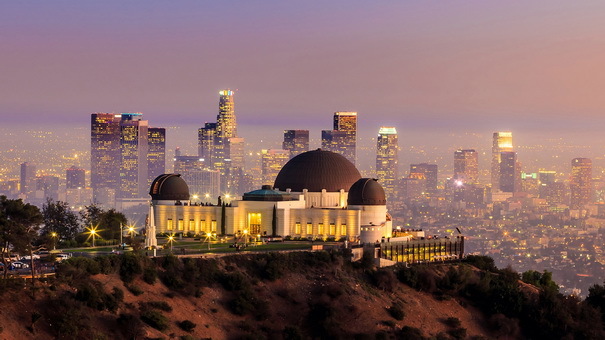 This gorgeous building overlooks the Los Angeles Basin, providing amazing views across Hollywood and beyond. But that's nothing compared to the peek at the night sky you'll get inside via the telescopes. Entry to the grounds and building is free, as is a look through the telescopes, but individual exhibitions cost a few dollars each. Millennium Park is Chicago's best loved outdoor space, packed with a winning mix of glorious green gardens and stunning modern art. But it's probably most famous for the futuristic Cloud Gate sculpture, more commonly known as "The Bean." The park has a full program of free events, so check the schedule ahead of time to see if there's anything else going on while you're there. The Samuel Adams Brewery tour is completely free of charge (though suggested donations of $2 that go to local charities are welcomed). Find out the inner workings of one of America's best breweries and you can even taste three beers for free. Tours run every half-hour so show up and wait in line. Take a 90-minute boat trip around Houston's working port, where you'll learn about the history of the area, and its current maritime industry. While the tour is free and passengers even get a complimentary drink, you must register for a spot online beforehand, as no walk-ons are permitted. Before Hurricane Harvey, Waugh Bridge had an estimated population of 300,000 Mexican freetail bats that called its underside home. Though many were unfortunately killed during the resulting floods, there's still a sizable number remaining. Each night, they emerge en mass just after sunset, filling the sky for a number of minutes as they take to the skies to feed, providing an awe-inspiring sight. Central to America's history, Independence Hall is the site where both the Declaration of Independence and the Constitution were debated and signed. Steeped in history, a tour of this important site is free and makes for an interesting and educational adventure. For Rocky fans, this has become something of a pilgrimage. Recreate the famous scene by running up the stairs leading up to the Philadelphia Museum of Art, then take your picture with the nearby Rocky statue. Calling all golfers! The opportunity to tour the factory of one of the most prestigious and widely used club manufacturers in the world is surely too good an opportunity to pass up. Perhaps surprisingly for such a huge name, the factory has a real family feel to it, and the complex process will be fascinating even to a non-golfer. Booking must be done by phone in advance to ensure a place on the tour. Set across four floors, the Arizona Capitol Museum details the rich history of the state with numerous exhibition areas showcasing the political, cultural, and economical past. The building itself and surrounding memorial park are also beautiful and house numerous tributes to the emergency services. As the name suggests, the first Friday of every month is a huge event in Phoenix. The vast celebration sees thousands of visitors and residents alike taking to the streets to enjoy cultural happenings. First Fridays encompasses art exhibitions, live music, food and drink, and much more, and there's even free transportation to shuttle you around between events. 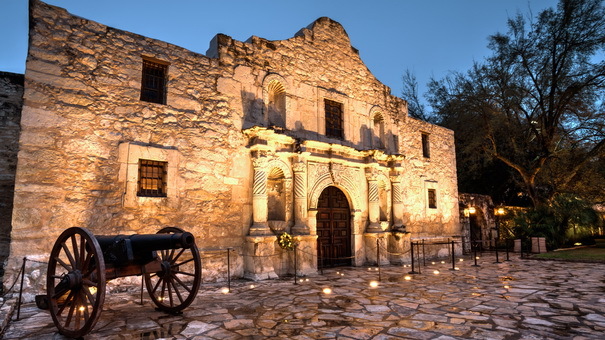 With 300 years of turbulent and harrowing history held within its walls, The Alamo is a must visit in San Antonio. A former mission and site of the Battle of Alamo, it's free to enter, and although tours are not, there are plenty of information boards around the site detailing the riveting history. San Antonio's urban River Walk winds its way through the heart of the city past its most important cultural attractions. You'll encounter historically important sites, like the five UNESCO designated missions, natural havens full of greenery and wildlife, and public art, as you meander along the banks of the gorgeous waterway. While you may not walk the entire 15 mile stretch in one go, any portion will provide you with several points of interest. Witness 300 years of the history of San Antonio take place in front of your eyes in this breathtaking 24-minute video, projected onto the walls of San Fernando Cathedral. Set to an evocative soundtrack, the art installation turns the church into a kaleidoscope of thrilling activity. Projections are on Tuesdays, Fridays, Saturdays, and Sundays, and start at 9 p.m., 9.30 p.m., and 10 p.m. If you've ever wondered how track stars prepare for competition, then this is the place to come. The colossal 155-acre site in southern California has been the base for countless Olympians and renowned athletes, and is open for self-guided tours of the top facilities Monday through Friday, 9 a.m. to 5 p.m. Packed with both permanent and visiting art installations, this nine-acre outdoor sculpture park provides a peaceful and attractive break from the city with incredible views over the Olympic Mountains and Puget Sound. There are also free tours of the park at various times throughout the year, so check the calendar for further information. This gigantic musical art installation is played entirely by the wind, so the tones that emanate from it range from gentle utterances to guttural snarls depending on the weather. Located in the National Oceanic and Atmospheric Administration Western Service Center campus and overlooking Lake Washington, entry is free but you'll need photo ID to get past security. 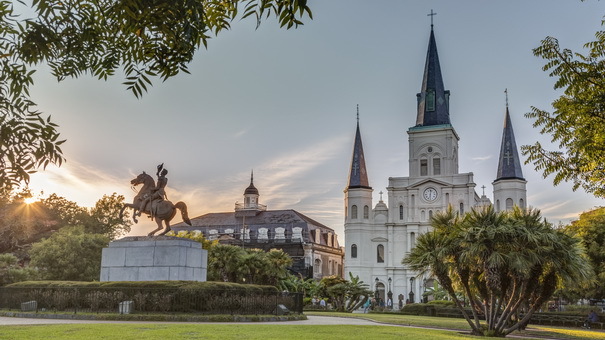 Resembling a Disney castle from the outside, St. Louis Cathedral is as enthralling on the inside. Stained glass windows tell the story of Saint Louis, King of France, and ornate murals depict biblical figures on virtually every wall. At almost 300 years old, the history inside is palpable. This two-mile long urban trail connects the Detroit riverfront to the Eastern Market area of the city and is a tranquil and colorful route loved by cyclists and walkers alike. It's flanked by numerous murals and works of art, with plenty of places to take a break and admire the surroundings. When you reach the river, you're rewarded with awesome views of downtown Detroit. This exciting homage to all things science is a wonder to behold for people of all ages. Jam-packed with interactive exhibits and installations, St. Louis Science Center in Missouri makes science both accessible and fun. While some areas and special exhibitions are ticketed, general admission is always free. The cable cars are a legendary part of the San Francisco landscape and one of the most distinctive characteristics of the city. Learn all about the history of how they came into existence, how they almost disappeared, and the ongoing efforts to preserve them. 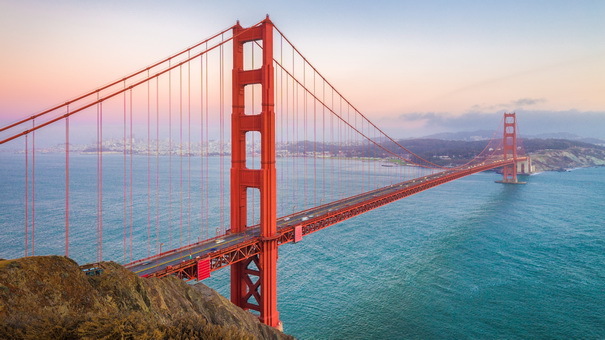 This is undoubtedly one of the most iconic bridges in the world, with its gigantic towers connected by swathes of cables providing an instantly recognizable silhouette. Walking its almost two-mile span will provide you with sweeping views out to the Pacific and across San Francisco Bay. This space-age looking method of public transportation has got to be the coolest way to get around Miami, and yet, surprisingly, it's completely free to use. More than just getting you from points A to B, the Metromover is an attraction in its own right and provides a fun way to see the city. The celebrated water and light fountain show at the Bellagio sums up Las Vegas in one water-soaked swoop. It's brash, glitzy, and eye-catching, with water jets being fired 460 feet into the air, choreographed to dance perfectly in time with a revolving soundtrack of classic tunes from musical greats. Watch in awe. If you've ever wondered what it would be like to witness a volcanic eruption, then this is probably the only place in the world you can safely find out. Fireballs, explosions, and exciting entertainment are the order of the day at this red hot, thrice daily show. Another free spectacle in Vegas is the Viva Vision light show, which uses the world's largest video screen to provide a magical overhead experience. Located in the ginormous Fremont Street Experience, combining restaurants, bars, and shopping, the Viva Vision light show is undoubtedly the star, and will have your jaw dropping in no time. As possibly the most recognizable leader of the Civil Rights Movement, Martin Luther King, Jr.'s importance in U.S. history is undeniable. Learn more about the man and his incredible achievements at this large historic site, encompassing several buildings, including his childhood home and the family church. The world's smallest park definitely upholds Portland, Oregon's reputation for quirkiness. Not much larger than a car tire, it has one tree, a few flowers, and legend has it that it's also home to the world's only Leprechaun community west of Ireland. While the story surrounding it is make believe, the park is very much a real place and makes a fun stop on a visit to this city. This moving museum tells the story of the Tuskegee Airmen at the time of World War II, who became the first African Americans to be enlisted as military airmen. Trailblazers in the fight for social equality, this site reveals what it was like and the struggles they faced along with the sacrifices they made. Discover the long and distinguished history of the U.S. Navy at this compelling museum. Set on the grounds of the U.S. Naval Academy, you can also tour the rest of the grounds and encounter current trainees. See where Colonel Sanders developed his legendary secret recipe for the classic American fried chicken brand KFC. The museum contains the old kitchen, one of the Colonel's famous white suits, and various other interesting artifacts that help tell the story of KFC. A veritable gold mine of information and whiskey paraphernalia, this museum features everything from rare whiskeys, to old decanters. A great trip out for bourbon lovers everywhere. Enjoy a free tour around renowned playwright Tennessee Williams' first home. While it's not on its original site, it is the original building, as it was moved for preservation reasons from its first location before being restored to its full glory. You'll even get a free cup of coffee in the gift shop. Through more than 800 artifacts, dozens of video clips, and hundreds of documents and pictures, discover the history of the State of Alabama at this interactive museum. From Civil War times to present day, this is a comprehensive overview of how Alabama was shaped. 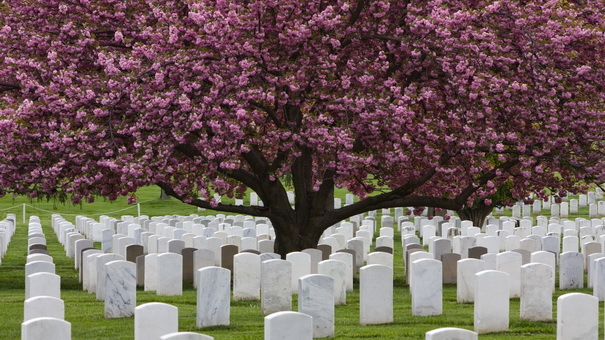 Visit the resting place of more than 400,000 former servicemen and women and pay your respects to military forces while soaking in the history preserved here. There's also an app that will help you locate a loved one's grave or any other point of interest throughout the site.